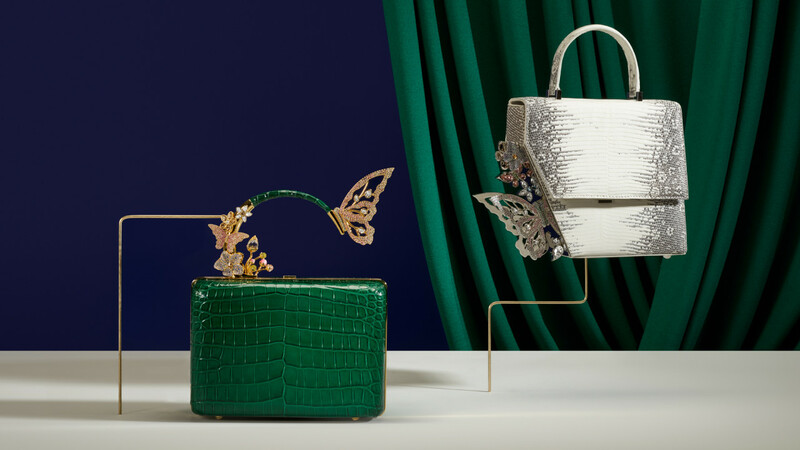 Squeals can be heard around the world as more people lay their eyes on Ming Ray’s eponymous brand of mink and Swarovski heart-frame bags and croc minaudières with floating butterfly or shooting-star handles. It’s a vibe Ray encapsulates in two words: “haute cute.” Think if Sailor Moon walked the red carpet, as she says. And let’s just say that crystal-painted picture is right on the money. Ray fused her refined skills from her time in the design department at Alexander McQueen and Jimmy Choo with her childhood whimsy. “I was trained in footwear and jewelry design at McQueen. At Jimmy Choo I did leather accessories and graphic design. McQueen has such a big influence on me because of two things: the jewelry elements, and the attitude of precision. It opened up a Pandora’s box when they showed me how to design jewelry. This inspired my crystalized butterflies, stars, and hearts,” she told us. 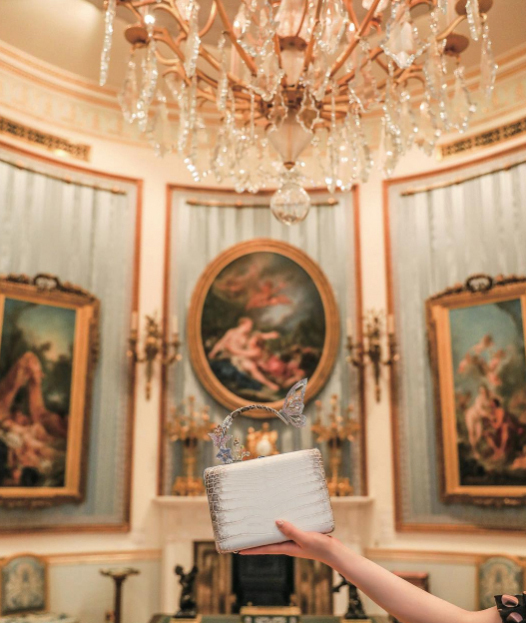 As playful as cascading crystal wings on a clutch can be, there is a timelessness to her designs. “I constantly sketch down my ideas and leave them on my sketchbook for a few weeks or months. I review the sketches again, and only if I still believe they are perfect will I develop them into actual products. This incubation process is very important to me because I want to create artworks that will stand the test of time. 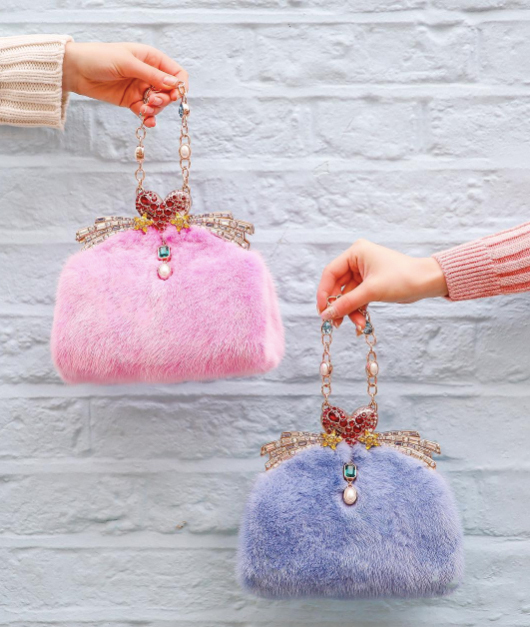 I never wanted to create things that looked trendy just for a season,” she says. 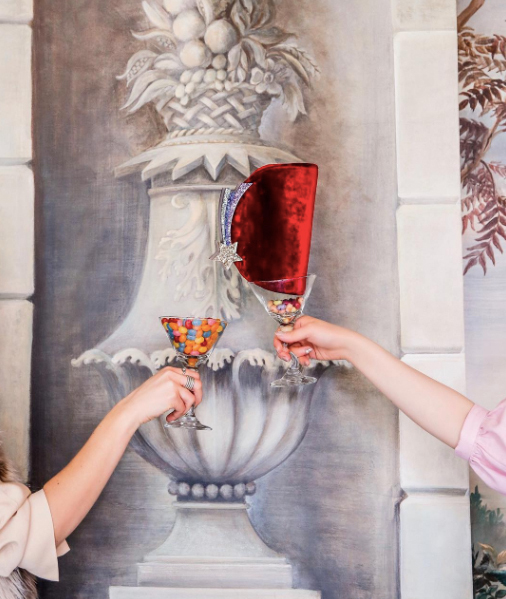 As for whom she wishes to see wear her designs, “Marchesa Luisa Casati, Audrey Hepburn, and the Queen of England, because I love her.” Us, too.